This is a transformation and a half. 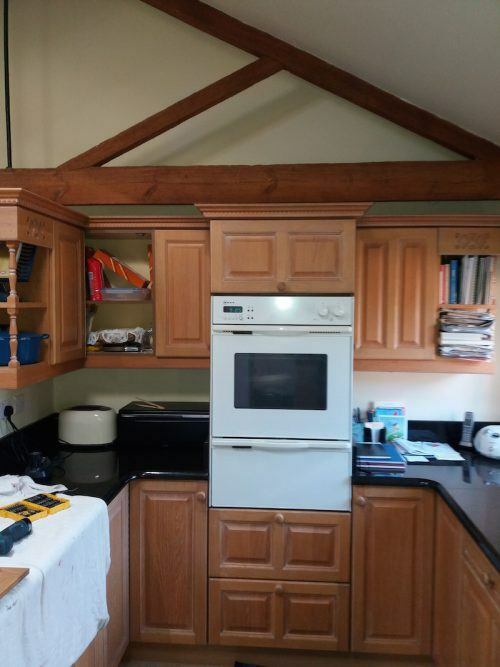 A hand painted kitchen in Northampton – 20 years old – bespoke pine kitchen – previously finished in very sticky Danish Oil – a bit of a mess. 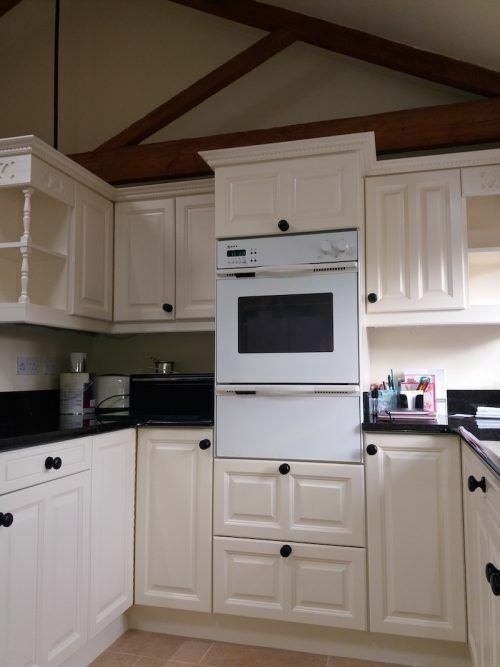 Paul Barber, Traditional Painter for Northampton, was approached earlier this year to find out if it was even possible to paint this kitchen. 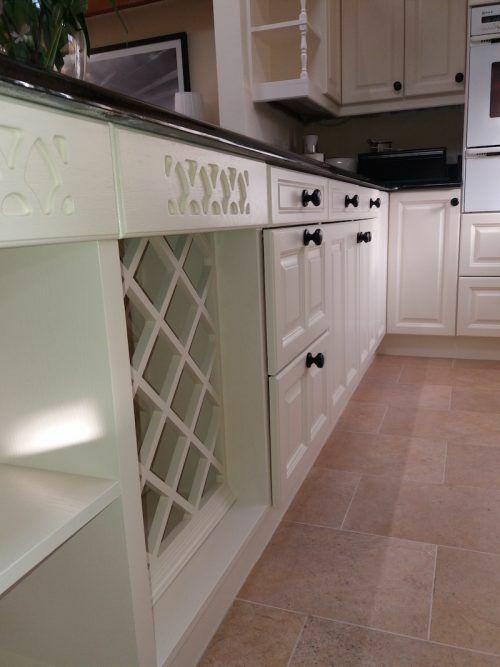 As a bit of background, Paul has been hand painting kitchens since the halcyon days! He was painting Smallbones kitchens back in the day when Charlie Smallbone used to go on site for a chat with the painters! 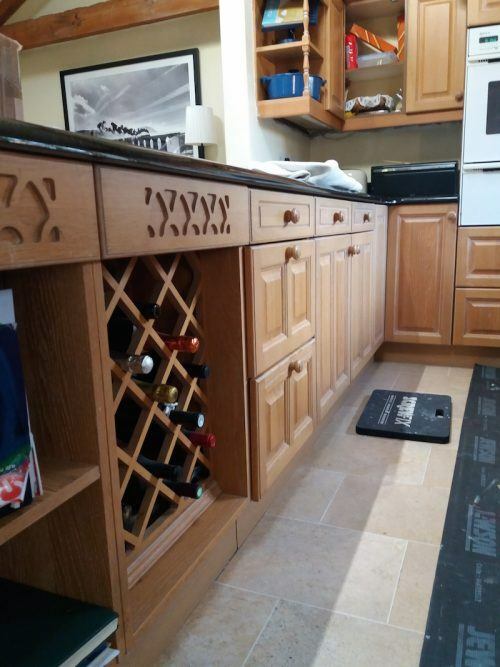 Paul has moved with the times and 30 years on, now spends most of his time refurbishing custom-made wooden kitchens of all shapes and sizes and budgets. 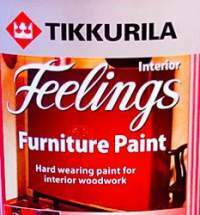 I explained to the client that it was possible to hand paint their kitchen if the right spec and products were used. In this case, it would require 2 deep cleans with eco degreaser and a final wipe with meths and wire wool. Shellac-based Zinsser BIN stain blocker/adhesion primer means a 100% sealed and solid surface. A further oil-based basecoat provides a smooth dense surface for the final 2 coats of Advance Satin by Benjamin Moore. In order to reduce disruption for the client, Paul always try to remove doors and drawers and undertake what amounts to the bulk of the work in his workshop. The frames are also left fully exposed and accessible. After some severe preparation, the woodwork is ready to prime, fill, and paint to a showroom quality finish. This is the sort of difference you can expect. Just search at the top of every page on this site. We know many keen DIY and trade readers are putting this information to good use, and cutting through a lot of the misconceptions and flawed ideas floating around the internet. Despite all the useful practical “theory” we share on kitchen painting, there is no way around it, there is a lot of work and attention to detail involved. 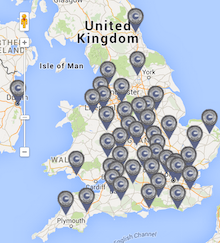 If you want to make sure no stone is left un-turned on your kitchen, give your local Traditional Painter a call. Paul covers Northampton, Beds and Bucks and is happy to explain what is involved and provide a full quote without charge nor obligation. He also has a great video showing the process. Contact Paul here.